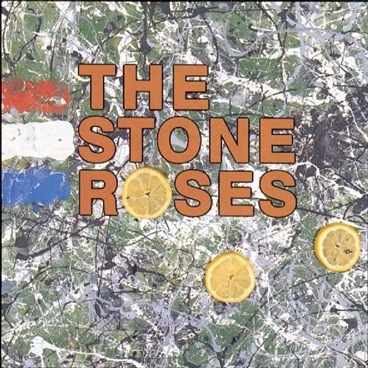 I was out on my usual afternoon ‘constitutional’ and I decided to have The Stone Roses debut as my walking music. What a great choice! It brought back interesting memories of hanging out at the Shelley Arms in Nutley (UK) during the 80’s/90’s. Sadly the Shelley Arms is no longer a pub, although the building is still there (it’s ‘listed’), and has become a family home. The pub, which also had live bands, closed shop once it became advantageous to build on the land around the back of the premises (which was all part of the same property). Warren, who ran the place on behalf of his father (a property developer), was also a school friend who originally lived just up the road from me . It was, I believe, his idea to have live bands (of a wide variety of styles and abilities). Once the venue closed he started up an antiques shop in Forest Row. It’s just down the road from Nutley, and where I lived until a few years ago, until I moved, funnily enough, to Nutley, before immigrating to Nova Scotia at the end of 2009. Sadly, Warren died suddenly a few years ago. The reason why it reminds me specifically of Warren, and the Shelley Arms, is that he had a great jukebox there and I can remember being at the ‘Shelley’ one night when I Am The Resurrection came on (it was the last single to be released off the debut album). I was not that familiar with The Stone Roses when they first came out, but my ears pricked up when I heard that great opening drum beat (also used on Roy Orbison’s Pretty Woman) and then there is that great guitar freak-out at the end. At the time I thought it was two separate bands, and so, was quite surprised when I checked out to see what was playing and discovered all of it was one Stone Roses song. Not surprisingly the next day I went out and bought the album. So, I would like to dedicate this post to the memory of Warren and honour him for all the opportunities he gave to local (and quite a few national) musicians, by letting them play. Even the ones that got to play on ‘Bad Bands’ night. Yes, I was there on a Band Bands of Sussex – Bank Holiday Special, where The Dirty Rotten Beer Mats (Toronto’s finest, allegedly, although they looked suspiciously like members of a local punk band) proceeded to ‘pretend’ to be a succession of ‘bad bands’ by swapping instruments. Both ‘classic’ and ear-splittingly load.